Earwig Studios have a comprehensive analogue mastering set up. We use a Studer A-80 half inch 2 track, Urei LA-4’s, Buzz Audio SOC 1:1 , Focusrite mix master multi band compressor and EQ (with stereo noise gate) , and an Aphex Dominator II 720 multiband hard knee limiter. If more extreme equalising is needed we use a a TL Audio valve EQ. We also have a real reverb chamber and a full sized valve plate reverb if high end analogue reverb is required. 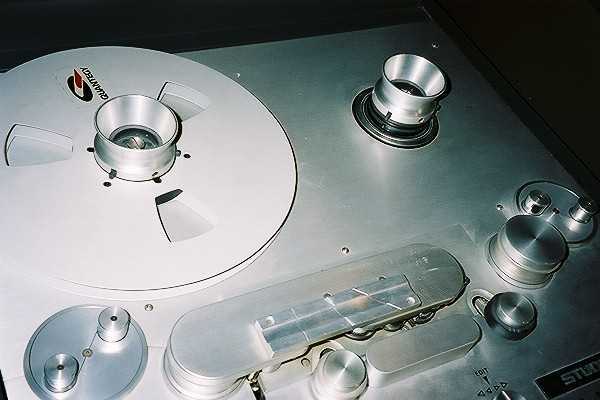 Mastering can be from DAT tape , CD , or half or quarter inch 2 track tape , going to DAT or CD or the Allen and Heath ICE 16 for 24 bit mastering. We can also employ digital noise reduction if required . The mastering rate is $60 per hour gst inclusive.Refer to the studio section (tape costs sub section) for half inch tape , DAT, and CD costs.